Empowerment Call with Dr. Tracy Quintana. Please fill out the form below to get your time slot! It's time to go HIGHER & FURTHER than ever before!! "Is there not a Prophet of the Lord that we may inquire of the Lord by him" (2 Kings 3:11). *Prophetic Activation & so much more. 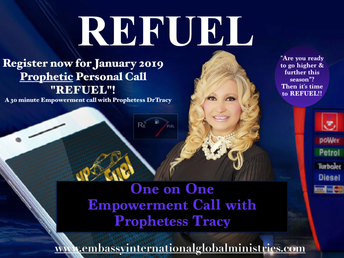 Whether you're a Prophet or not, these calls are sure to Empower, Unlock, Activate & Position You or Your Ministry right into Your Prophetic Destiny!